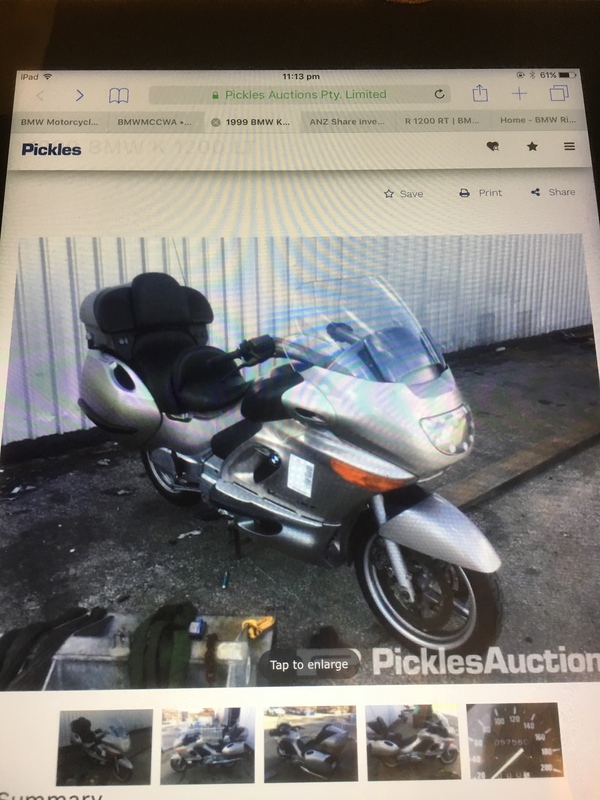 Insurance write-off : sold my LT for $2500 at Pickles salvage auction today. It was a great bike until it caught fire and just about burnt my house and everything in it while in my garage. Geez Bill, lucky that neither of you or the house was damaged. I have had the unfortunate experience of my 1999 K 1200 LT CATCHING FIRE. 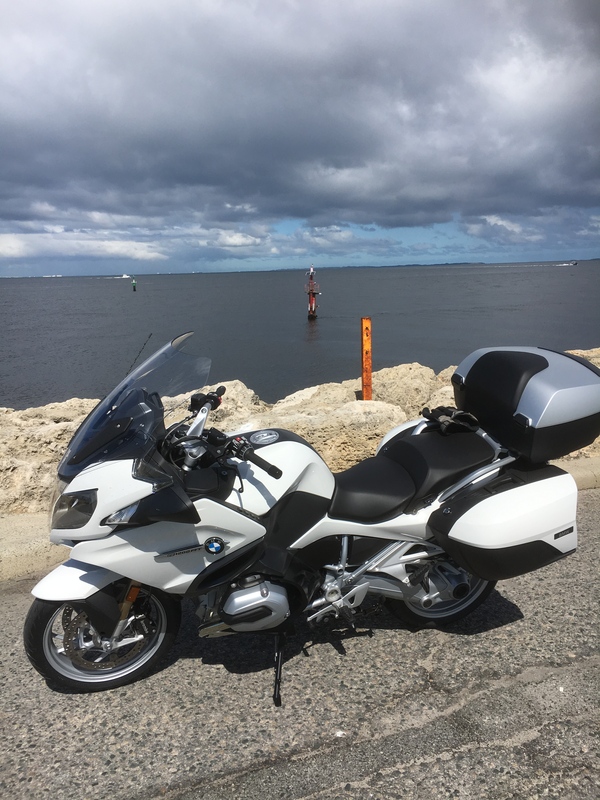 I hadn’t used the bike for about 8 weeks and decided to start it up to go for a ride.It was a bit sluggish to start which I put down to the battery having lost some charge but fired up and I left it idling for a few minutes to give the battery some charge. I probably had let it run for 4-5 minutes and got on it to reverse down the drive to take it for a ride. I gave the motor a final rev and then noticed white smoke coming up thru the fuel tank regions. I immediately got off the bike to see what was happening as initially I wasn’t Sure if it was steam or smoke. Checking the space immediately under where the smoke was coming from on the left side panel grill I could see flames flickering inside. I had a small fire extinguisher close by and gave it a blast thru the grill into the flames and a follow up blast thru the front of the bike and this seemed to get rid of the flames which were getting more intense and sizzling sounds were now sounding louder. 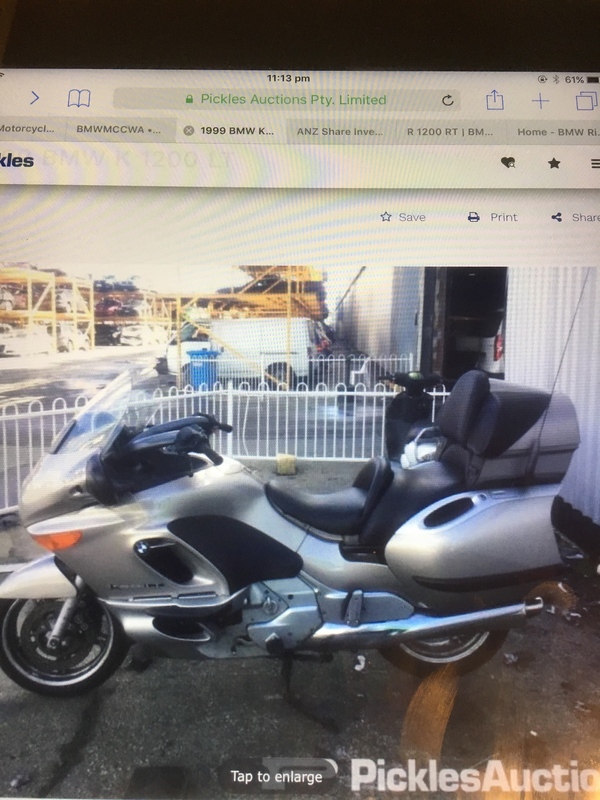 The bike was in my garage with 3 other BM bikes and my car , fuel containers and stuff everywhere as was a typical untidy males garage and I could see all this also catching fire if the flames from the bike took to the fuel lines or tank. It would have ended up with a catastrophic whole house fire. I rolled the bike down the driveway following the extinguisher success and got the garden hose out to finish off the smouldering reminant smouldering. The end result following the bike being carted to my Bmw technician was a total write-off. This was quite a disappointment as I liked riding this bike it had only done 56k and I had only had it serviced with new tyres 300kms back. They couldn’t work out the cause of the fire. Wow, Bill. That would've shaken up anybody. Will you be looking at getting another cruiser? Glad you averted a potential disaster Bill, did your technician have any theory as to what went wrong? Sorry about the drama. I am confident that you will be very happy with the new RT. jono wrote: Glad you averted a potential disaster Bill, did your technician have any theory as to what went wrong? Thorsten couldn't see anything obvious when he initially had a look when he removed the bikes panel and without forensically taking the bike apart which would have been complicated, time consuming and very expensive. He wasn't confident if he did that he could be 100% sure that he would still be able to determine the cause as the fire had done quite a bit of damage to the wiring harness. 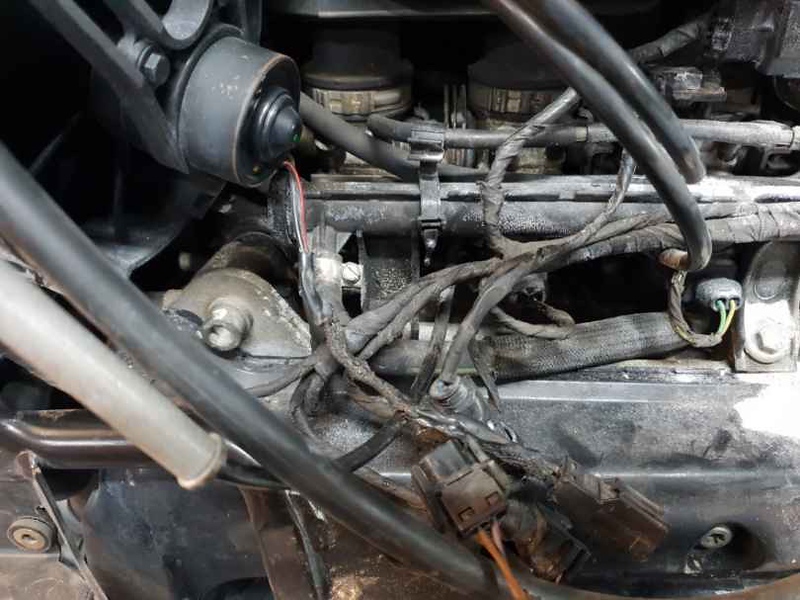 If he still couldn't find the cause and along with the need for a new wiring harness which would have cost $3+ K. and he wasn't confident it wouldn't happen again after he had replaced this. He and the insurance assessor determined it would be uneconomic to go ahead with trying to fixit and decided to write the bike off. 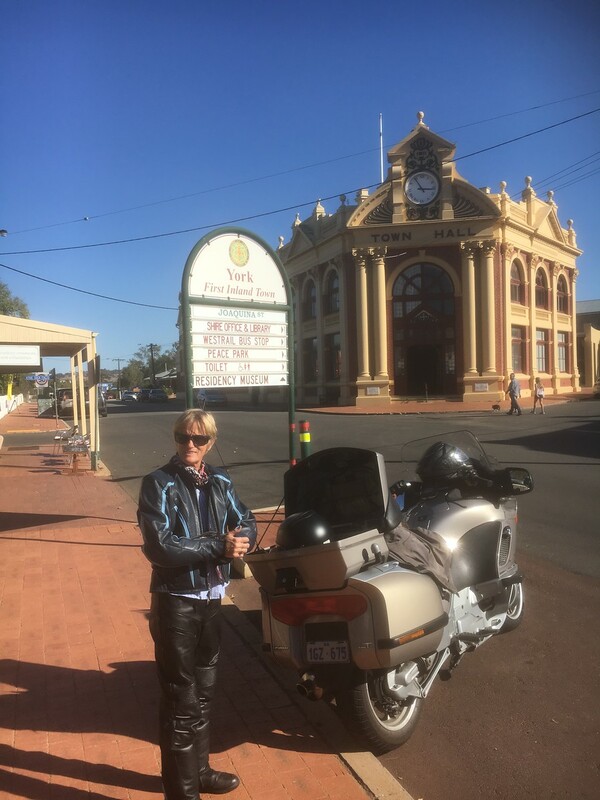 Thorsten had only serviced it 300 km ( a Bozo Sunday ride) prior to the fire and I had asked him specifically to check the fuel system fittings at that service. I had been noticing prior to that a trail of fluid drips when I had been backing the bike down my driveway which is fairly steep and I wasn't sure where the trail of drips were coming from. I couldn't smell petrol from the fluid drips and they seemed to evaporated fairly quickly. The dip line length was about 10 m after I had backed the bike down the driveway to when the drips stopped . I was a bit concerned with this that had occurred for the 2 previous outings and I decided to take the bike in for its 60K service and have this checked. Thorsten had said he checked all the fittings and everything was fine and couldn't see any fuel leaks.He couldn't explain where the fluid was coming from or what it was and said he couldn't do anything at this stage about it. I now suspect it must have been fuel related as when I started the bike up after not riding it for about 8 weeks or so, it started fine and I had let it run for 4-5 mins to give the battery some charge as it was a bit sluggish on starting. After I let it run I got on the bike with the intention of backing out down my driveway and I gave it a bit of a rev-up this was when the smoke started coming up thru the fuel tank region. I got off the bike and could see flames thru the left side panel l grill and they were now making sizzling noises and getting more intense with more smoke as the seconds passed. Luckily I had a fire extinguisher care of KEN AND TONI BUTLER's leaving Perth disposal sale. I gave it a blast thru the grill opening and from the front of the bike and managed to subdue the flames to smouldering. As I was very concerned that there was 25 l of fuel in the tank and the flames had been right under the fuel tank and there was a potential risk for this to explode and start a catastrophic fire in my very cramped garage which had containers of fuel ,other bikes my car and lots of other stuff. If this caught fire it would have spread to the rest of the house. I got back on the bike and coasted down the driveway and got the garden hose out and gave everything a good soaking with the smoke and smouldering finally drenched and out. Bill so sorry to hear the demise of your great tourer. But as Bozo said I am sure you will be very happy with the twin pot RT. They are a great bike.